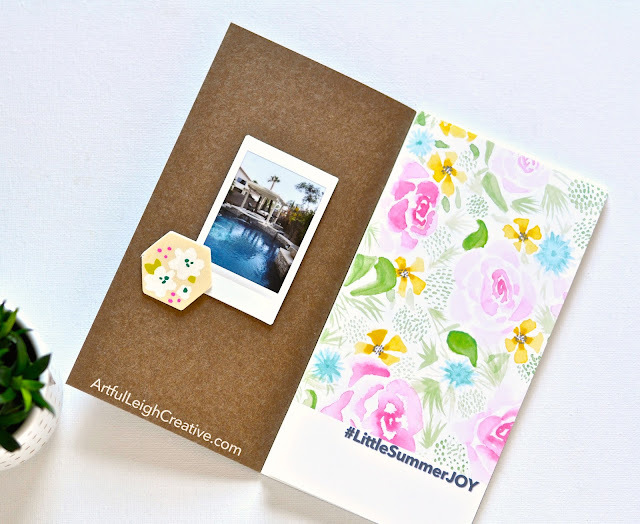 inspired by the #LittleSummerJOY class! This PDF is sized to fit regular TN, and you can download it and print out at 100% size and Best Quality. You can get both versions, one a full page floral and the other is as shown above with the title for a title page! Remember to sign up using my link and enter code SAVE5 to save $5 before June30th!!! This post contains affiliate links which don't increase your price but give me a little to keep my crafty posts coming to you! Oh wow, how beautiful Leigh! Thank you so much for sharing this with the rest of us! Hugs! Thank you, it's really beautiful!